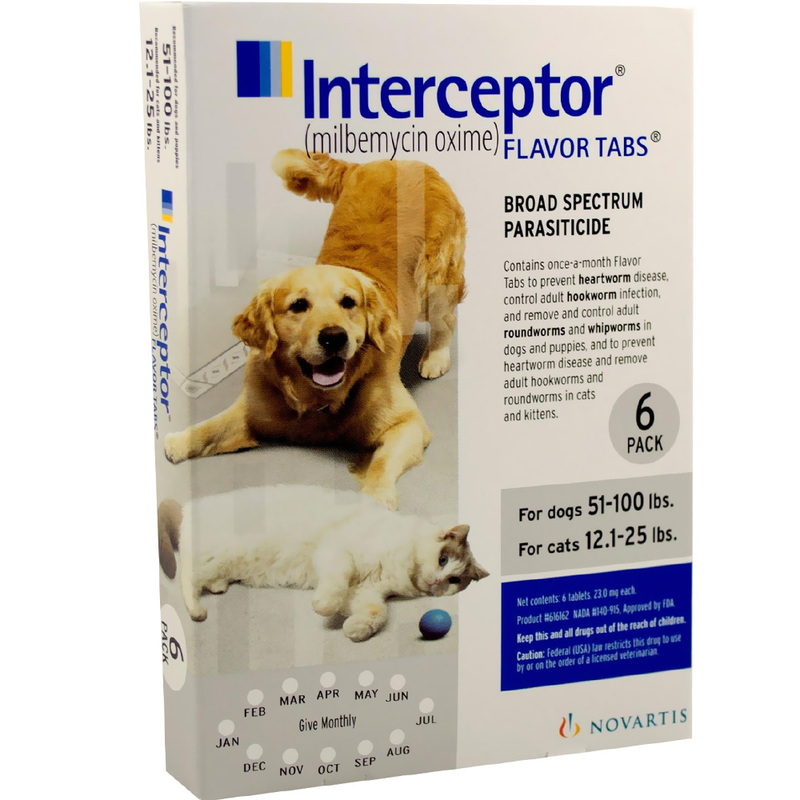 lnterceptor (milbemycin oxime) protects your dog against four common parasites. 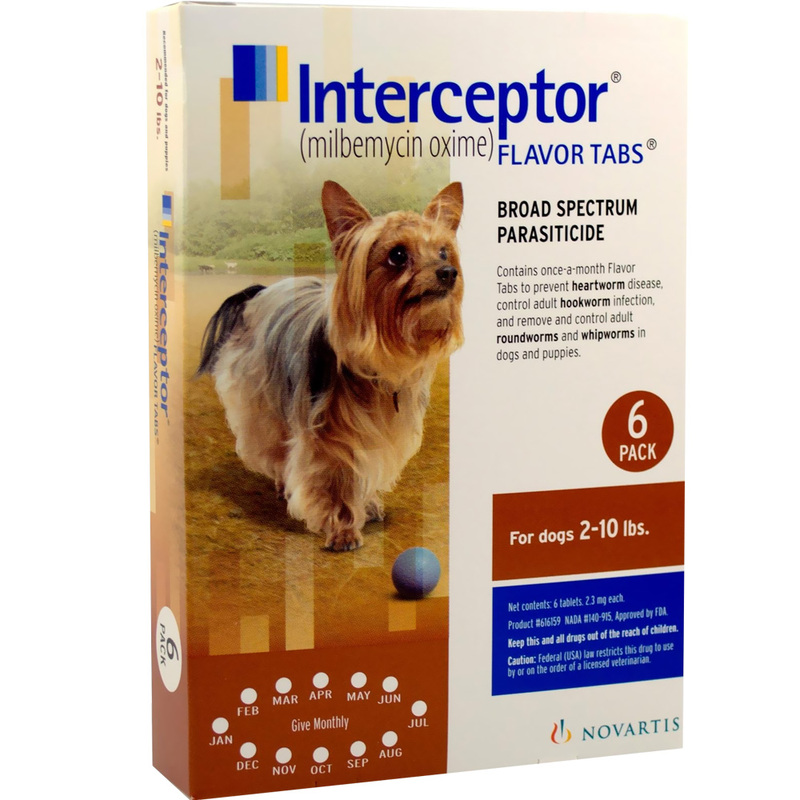 Interceptor is indicated for use in the prevention of heartworm disease, the control of adult hookworm, and the removal and control of adult roundworm and whipworm infections in dogs and in puppies four weeks of age or greater and two pounds body weight or greater. 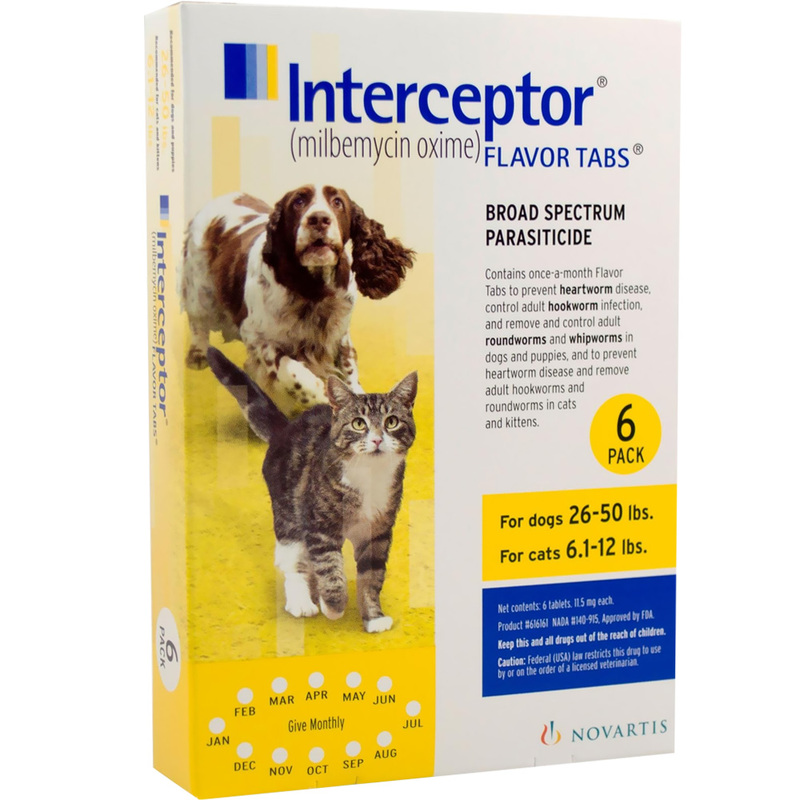 Interceptor for Cats is indicated for use in the prevention of heartworm disease, and the removal of adult hookworm and roundworm in cats and kittens six weeks of age or greater and 1.5 Ibs. 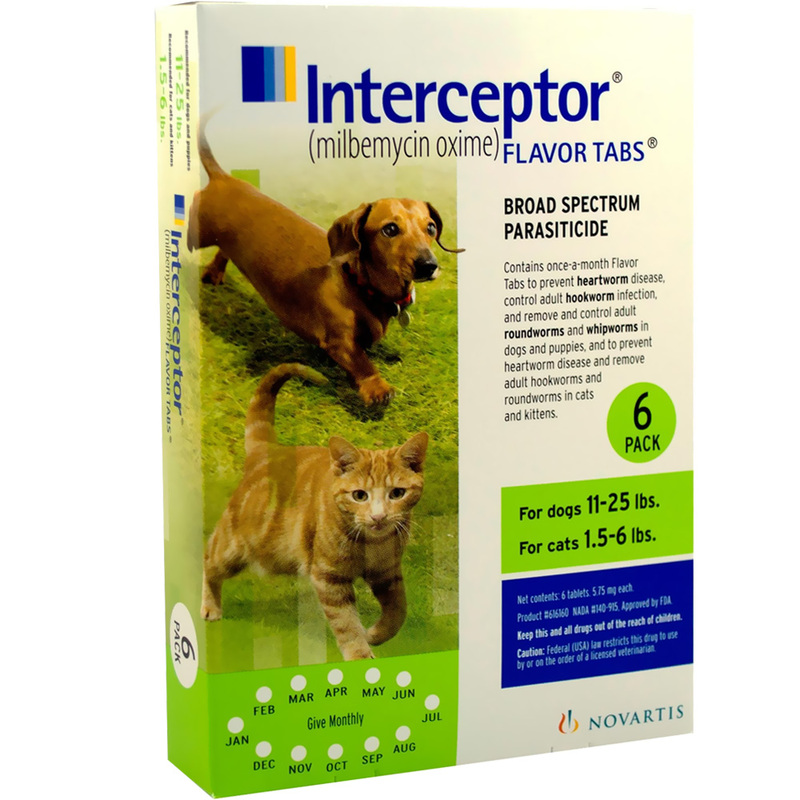 body weight or greater.